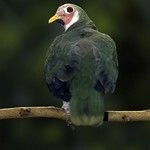 A brightly colored bird, the jambu fruit dove has green markings on the back, wings and tail, with a bright orange beak. The species is sexually dimorphic, meaning males and females differ in appearance. 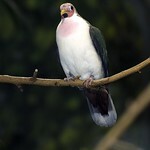 Males have a crimson face and white chest displaying a pink patch near the throat while females possess a light purple face and green chest. 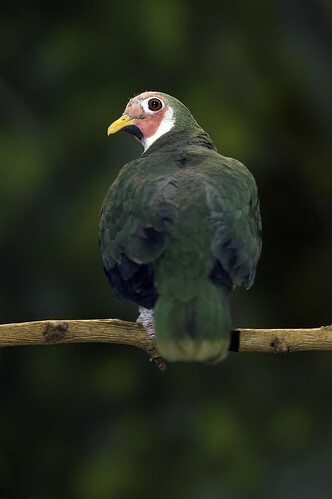 The jambu fruit dove can be found in southern Thailand, Malaysia, Brunei and Indonesia. 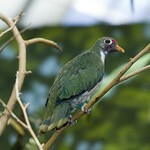 The species is classified as near-threatened due to habitat loss. 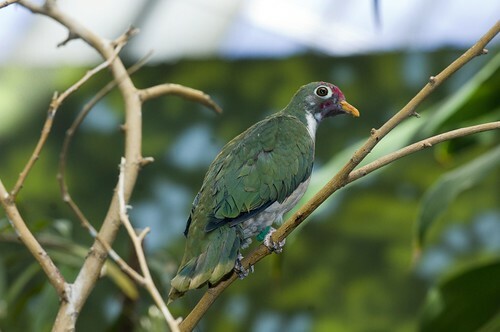 Lincoln Park Zoo participates in the Jambu Fruit Dove Species Survival Plan®, a shared conservation effort by zoos throughout the Association of Zoos and Aquariums. This fruit-eating species inhabits rain forests and mangrove swamps. 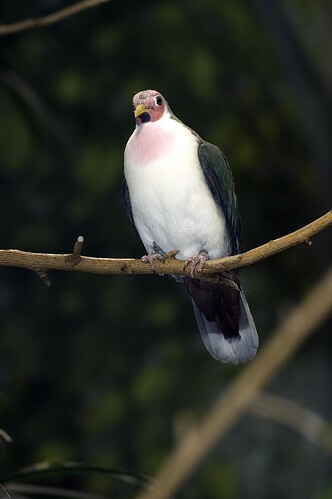 As its name indicates, the jambu fruit dove feeds on fruit produced by rain-forest trees. Males establish breeding territories in the rain forest to attract mates. The female builds her nest from sticks, twigs and grasses that the male gathers. She lays one or two eggs, which incubate for 20 days before hatching.